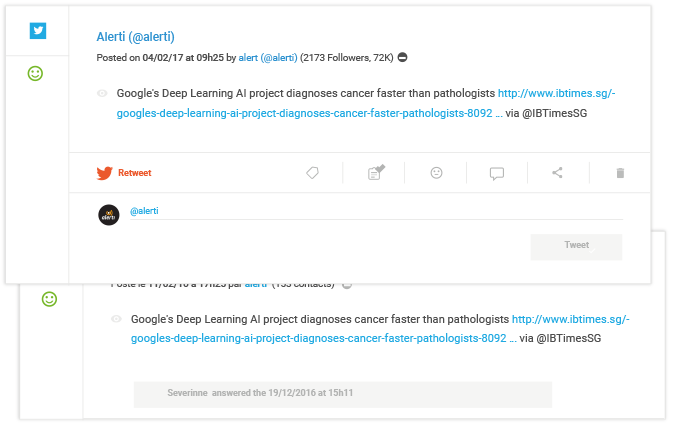 Create alerts on your brand, your products, your executives, your competitors, your industry and follow the conversations on Twitter in real time. 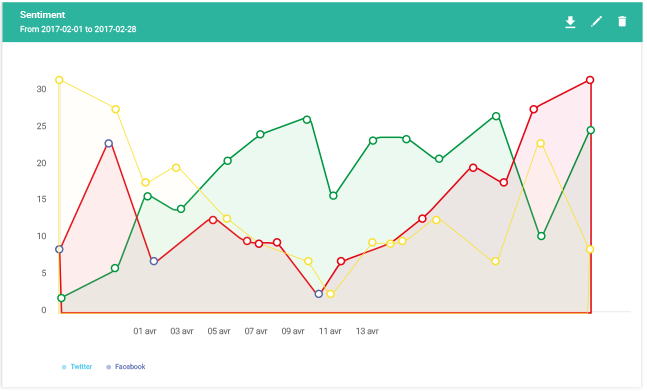 Easily identify the most retweeted tweets which include your keywords with our Twitter dashboards. 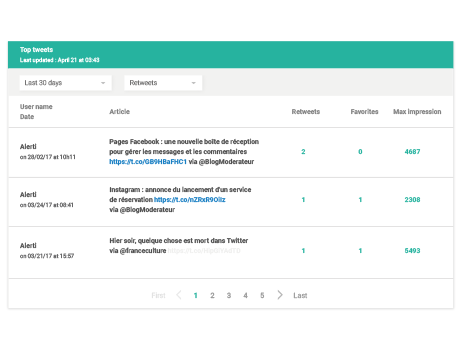 Filter the tweets per period, author, influence or number of retweets or quotes. Each tweet is given a tone which you can edit if needed. Measure the volume of conversations and filter the tweets by sentiment to retrieve the positive, negative, neutral tweets in one click and protect your online reputation. 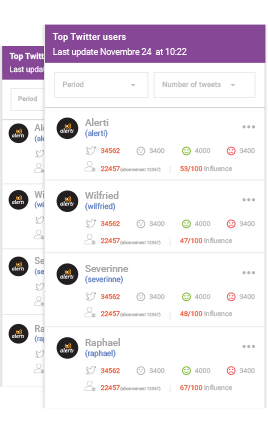 Connect your Twitter account to your Alerti account and engage with the Twitter conversations directly from your alerti account. Reply to tweets, retweet, follow the Twitter users who mention your brand or the influencers you’ve identified. Collaborate with your team, assign tasks to your colleagues when you find tweets to which you need to respond. Know who answered what to whom and follow the progress made.